The push and pull between good and bad in life. It’s not been about five years since Trace Adkins was in the top ten on the country charts. We’re talking about a guy that had hits on the charts for a good 15 years, but for different reasons sometimes artists spend a little time away from the radio charts. 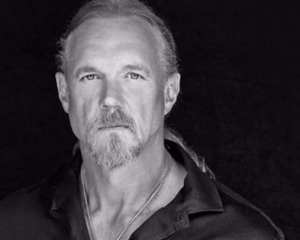 But Trace is back with a brand new song to kick off 2016. He’s with a new label. There seems to be some excitement around Trace and this song. And above all…this one sounds good. Check it out. This song seems personal to Trace. He’s shared his battles over the years with living life a certain way. Many of us have the pull to be rebellious while still living life the way we probably know that we should. There are always temptations that can get in the way. In this sense, the good is Jesus and the rebellious is George Jones. Those two obviously are heroes for Trace and he really pulls this song off well with classic Trace Adkins style. The song is catchy. It’s obviously not your usual love song, but a song about life and the struggles that come with it. But this melody is what really stands out to me. It sounds like classic Trace Adkins while still sounding really fresh and ready for today’s country radio. Maybe there is a little comeback in store for Trace. He hasn’t been gone from the charts that long, but it’ll be nice having him back on there. I thin this one sounds like a hit. I really like the song both for the message and the music. All of us struggle. Maybe not the same way Trace has struggled but we all have struggled. The music is such that once it gets in your head it stays and you’ll find yourself humming it over and over. I’m glad to see Trace back and I think this could be his chart topper.